Hand removal of fruitlets to a pre-determined number: Removing by hand apples that may be too small, damaged, or growing too close together. Once completed, apples size and colour more rapidly. Ladder work involved. Timing – last week of November through to Christmas. Removal of shoots that create shade within the tree. Apples require light to develop colour. Hand picking of mature apples to a set of specifications: Select picking apples to size and colour. Careful handling required. Ladder work involved. Timing – middle of February through to 1st week in May. Some tractor driving positions are available for experienced tractor operators. Requirements: Reliable, Motivated, Physically Fit, Transport Required. Able to carry a constant heavy bag over shoulder all day. Good perception of colour – not colour blind. NOTE: Apple Harvest lasts approximately 10 weeks – minimum availability for employment must 4 weeks or more. Pruning involves the removal of growth that is unwanted, to create good light penetration and air movement. The best apples are produced on spurs 2 years and older. Requirements: Experienced apple pruners only. 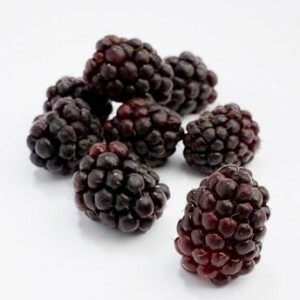 Method: Boysenberry Training involves the cutting out of last years fruiting canes and the weaving in of newly grown cane. Requirements: Willingness to work outdoors during the winter. All equipment will be supplied. Full training given. Pay Rates: Payment on a per plant basis. Method: Selecting and removing shoots not required for fruiting next year. This keeps the kiwifruit vine under control. Helps to keep the sunshine and air movement through the kiwifruit canopy. Requirements: Reliable, Motivated, Physically fit, Not too short or tall in stature. Method: Picking all fruit into picking bags or aprons and then emptying into wooden bins. Careful handling required. Teams of 4-8 working together. Contract rates paid on the number of wooden bins picked. Requires: Reliable, Motivated, Physically fit, Able to carry a constant heavy bag over shoulder all day, Not too short or tall in height. Method: Using hand pruners to remove cane that is no longer required to grow next seasons crop. Tie down to wires, cane that will produce next season’s crop. Remove any other cane not required. Contract rates apply after training has been completed rates are per plant or span between posts. Requires: Reliable, Physically fit, Upper body strength, Motivated, Not too short in height. Method: Remove fruit that is misshapen or too small. Requirements: Reliable, Motivated, Physically fit, Not too short or tall in height, Good eye to hand co-ordination.